Staying on Point by Fueling Your Noodle by Brown & Medina Nutrition - Energetic Juniors - Contact Us! Make each meal consist of slow release carbohydrate, high quality protein and high quality fat. This combination will help stabilize your child’s blood sugar while fueling her brain with continuous glucose. 1. Oatmeal with Berries: bowl of oatmeal topped with fresh berries, a spoonful of natural nut butter and a glass of skim milk. 2. Egg Sandwich; 1-2 scrambled eggs between 2 slices of whole wheat toast and a sliced orange. 3. A bowl of Greek yogurt with mixed berries and a sprinkling of wheat germ or granola. 3. Bowl of hearty lentil, split pea or chili with a whole grain roll and some cut- up peppers. **Lunch for breakfast! Don’t sweat it…focus on the fuel mix and give them what they want. **School lunch a problem? 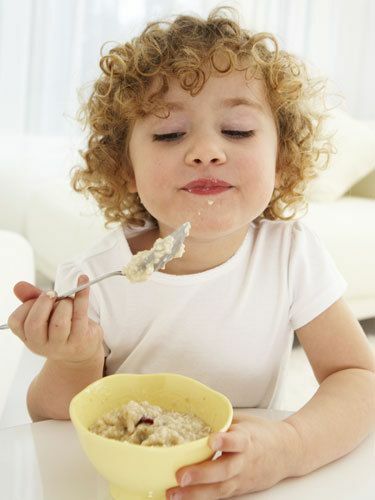 Sit with your child and help them identify the protein sources in the cafeteria and build from there (hard boiled eggs, sliced chicken, cheese, yogurt, nut butters and hummus/beans).